Can I Eat Lentils While on a Candida Diet? - YeastInfection.Org by Eric Bakker N.D.
You are here: Home / Diet And Yeast Infection / Can I Eat Lentils While on a Candida Diet? 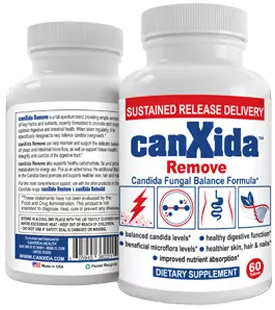 Some of the most common questions I hear about the Candida Crusher diet plan, or any other Candida diet plan, are about the foods you can and can’t eat. While I personally recommend sticking to organic, grass-fed meats, I do realize these products aren’t always affordable or available without a great deal of effort. That said, it’s important to find other sources of protein and essential nutrients. To begin with, lentils are incredibly high in protein. Approximately 25-30% of the calorie value comes from protein. This makes lentils a great food not only for those on the Candida diet, but for those who regularly follow vegan and vegetarian diets as well. Lentils, especially green lentils, are approximately 30% fiber. The health benefits of fiber are important to note as well. The soluble fiber you’d get from lentils will help you to process carbohydrates, slow your digestion and make you feel fuller faster, and regulate your blood sugar levels. The high amounts of fiber will also help to lower your cholesterol and promote the health of your heart. Supporting your digestive health is critical when you’re fighting a yeast infection, especially if you’ve progressed to the point where you have symptoms of irritable bowel syndrome, constipation, or some other digestive disorder. Creating the proper environment for healing and the life of good bacterial flora is critical. I suggest eating lentils only 2-3 times per week. In doing so, you’ll find your energy levels slowly increasing over time. This is because the lentils contain complex carbohydrates (as opposed to simple, which are bad for you). Your body’s insulin production can keep up with your body’s use of complex carbs, giving you a steady level of energy that will improve oxygen flow in your body while boosting your overall metabolism. Oh, and as an added bonus? Lentils are incredibly low in calories. The low calorie count combined with high levels of protein, fiber, vitamins, and minerals – including vitamins B2, B5, iron, zinc, folate, calcium, magnesium, and more – make this legume the perfect addition to any plan geared towards weight loss. A full cup of lentils is only approximately 230 cals. Are There Any Drawbacks to Eating Lentils? Lentils are wonderful, but they’re not 100% perfect. This particular legume contains what are known as trypsin inhibitors, which are not uncommon in foods derived from raw plants. These inhibitors actually block the enzyme known as trypsin, which makes it difficult for the small intestine to break down the protein you’re getting from the lentils. The good news is that these inhibitors do not respond well to heat, so eating cooked lentils should not cause a problem with your enzyme absorption. Don’t let anyone tell you that you can’t have lentils while on the Candida diet. This is simply a misconception caused by the belief that lentils can cause abdominal discomfort, pain, gas, and bloating. The problem, however, isn’t the lentils themselves. While legumes can cause some abdominal discomfort, you’ll generally find that introducing them to your diet slowly will negate those issues. If you eat a small amount, slowly increasing it over time, you shouldn’t have an issue. If you don’t eat lentils regularly now but decide to go out and eat a whole cup at a time, 3 days in a row, I wouldn’t be surprised if your body rebelled a bit – whether you have Candida or not. Lentils can be a great source of protein and fiber, both things you need to maintain your health and strength while battling your yeast infection. Give them a try. Thank you for this information. My daughter is suffering and I am trying to help her choose appropriate foods to fight this candida.